There are a few reasons why we love to visit London. Part from all the beautiful sights and museums, there is of course the typical British atmosphere and way of life, big city style. One of the other reasons we love London is the West End and it’s wide variety of musicals and plays. So last week, in preparation to our upcoming trip to London next January, we decided to check out the new version of Disney’s Beauty and the Beast. It has been 10 years since we first saw Beauty and the Beast on stage here in Belgium and earlier this year we enjoyed a wonderful performance in Holland. 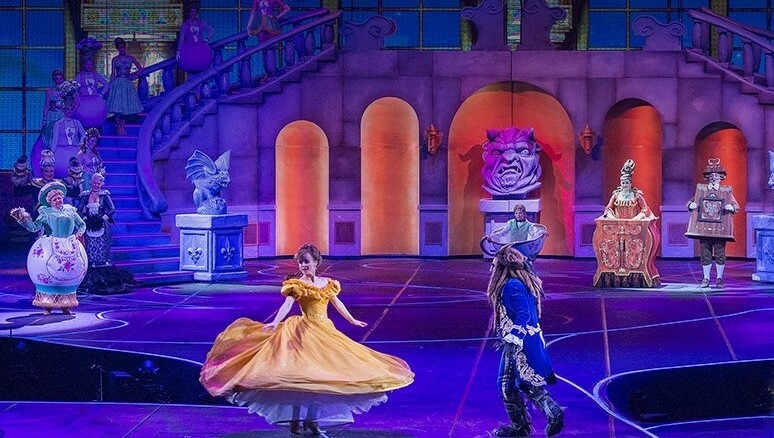 While those performances were the classic theatre version of the musical, this time a Belgian company was given exclusive persmission by the Disney Company to make (small) changes to the story and visual presentation, modernising Beauty and the Beast and turning it into a gigantic arena-spectacle for 3,200 people. Known all over the world Beauty and the Beast tells the magical story of a prince who was transformed into a horrible Beast, as punishment for his arrogance, and Belle, an independent and intelligent young woman, who is taken prisoner by the Beast in his castle, in exchange for the freedom of her father Maurice. At the risk of remaining a monster for the rest of his life the Beast must find true love. Despite Belle’s fears she befriends the castle’s enchanted staff and learns to look beyond the Beast’s exterior to recognize the true heart and soul of the human Prince within. Meanwhile a hunter named Gaston is on the loose to take Belle for himself and hunt down the Beast at any cost. 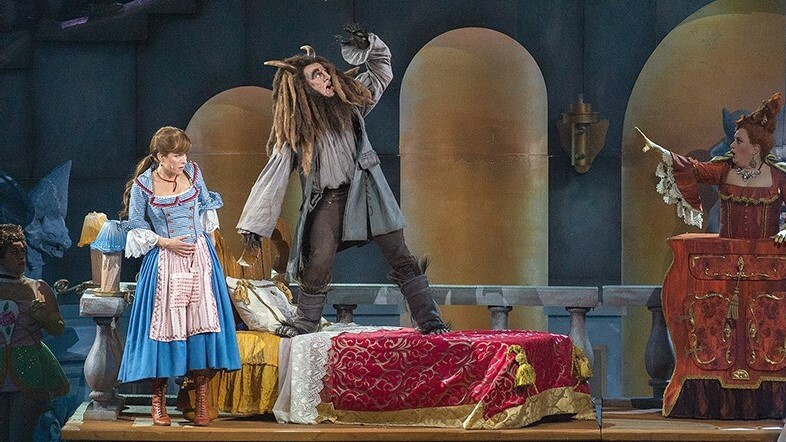 It has to be said this updated version of Beauty and the Beast is the most surprising performance we have seen so far. 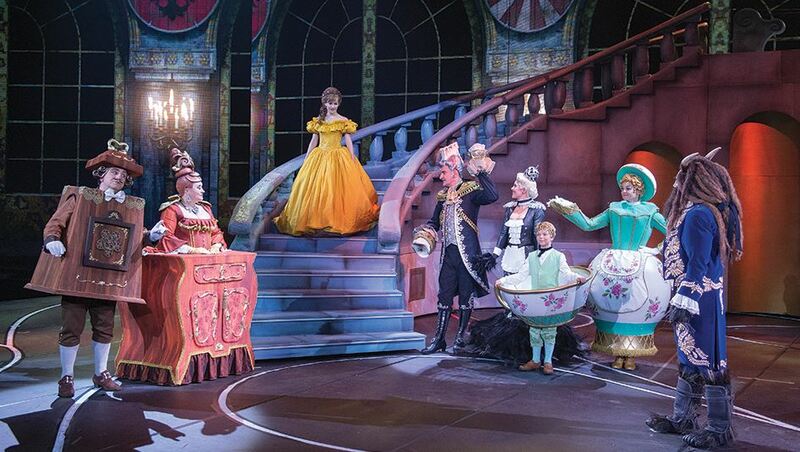 While the original musical has a more two-dimensional feel to it, this revamped edition, has a modern 3-D feel to it. Objects are coming up through the stage, down from the sky (even flying through the sky) and on the stage from the back and front. With so much happening on and around the stage you have to pay close attention not to miss any of the action. 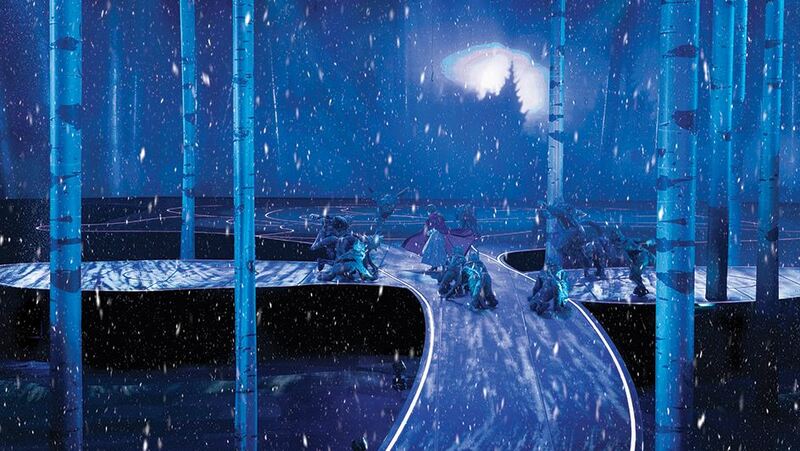 And while the enormous stage, in the form of a 50 meters long rose, gives the performers all the space in the world to bring their characters to life, the size of the stage is one of the things that make this edition less comfortable to enjoy than the classic theater version. 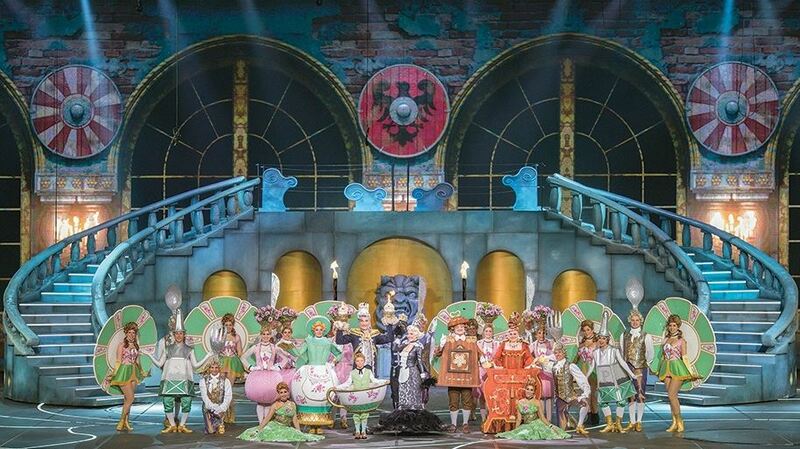 Due to the size of the stage, and the distance between the stands and the stage (even though we were sitting on the first row of the stands, the second most expensive seats in the house) the performers/characters appear to become small puppets. In fact we were so far from the stage that it was impossible to see any emotion or expression on the faces of the artists, you couldn’t even see if they were actually singing or giving a perfect playback performance. An added projection screen showing some close-ups wouldn’t have been a bad thing. The second drawback to the arena-version was the absence of a live orchestra, after all a tape playing a recorded live version of a musical score doesn’t do justice to the beautiful music of Beauty and the Beast.